Wow! Great catch and pretty cool pic. Will have a look. Thanks! Prague will be going live today; you can even try a basic version now. Thank you so much for your supreme patience. I’m sorry I let it slip. One question: since it’s now Václav Havel Airport Prague, should it be alphabetized in the list as Václav or Prague? It’s not standard to have the name at the end. Whoooops!! Is five months excessive? Haha ... I'll get this one finished pronto! Please accept my apologies for the lapse. In general, yes, but I'm falling behind. Can you please check back in a week or two? Thanks! What is your altitude, and at what airport? You are likely too high. Try starting your approaches from further out, until it starts working consistently for you. Thanks for the note. I found the weird plane and deleted it. Alignment should be better now. Thanks / sorry! Should be better now. Thanks / sorry! I didn't think you were bitchy. Should be fixed now. Sorry for the trouble! Whoooops!! Ok, will have a look. Thanks / sorry. Thanks so much, Richard! The consensus agrees with you. Really?? That's bizarre-- sorry for the trouble. May I ask what browser you are using? Next time, maybe do the STATS command and see what it shows, and then save? It's also possible you saw the score from another session. I'll have a look in the DB later on today. Hmm, does seem odd, but if there were a bug then it shouldn't work at all. I'll have a look. Thanks. Ok, will prioritize HOU. Thanks for the heads-up. Were there any airports in particular in which this was happening? Most of the newer ones and revamped ones have exit points at the edges of the screen. Thanks for the note. Potential fix is in place. Can you guys please see if it's any better now? Thanks! Guess that makes sense. :-) Will have a look! Thanks. All the new features go into the existing site. There isn't a separate app. "2.0" is my term for the improved site. Sorry if you feel misled. That said, all donations are much appreciated. Thank you. Oh, I see: you are saying they should NEVER depart on 30, even if the wind is from the north? There's no release date per se; I just add in new features as they become available. Your wish is my command. Please check it out now. Leaving the screen / terminal area without being handed off. It's hard to get the traffic level right & fair for everyone. I wonder if some kind of slider would be in order, to increase or decrease traffic, which would influence scores accordingly? Fixed; thanks for your note and patience. Thanks -- will have a look. Both done. Will work on airspace for both as time permits, and CYUL needs some new traffic as well. Hi, thanks for the note. I'm out of time for this morning, but these are good points and I'll make sure they get addressed. Done! 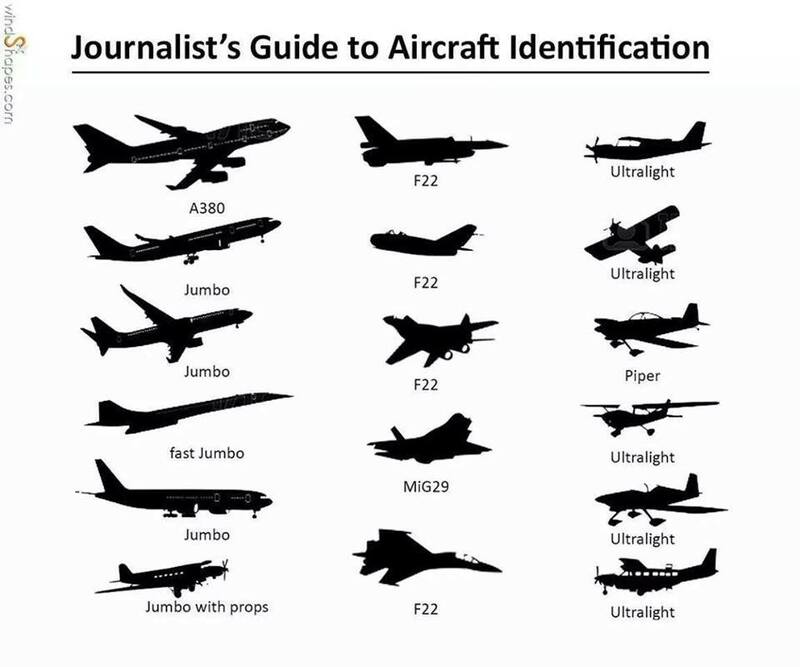 Looks like we need some aircraft thumbnails and improved exit points, too. Will work on that last past as time permits. Done! Looks like we need some more aircraft images, too. Can you please see if it's any better now? Ok, this one should be fixed now. Sorry for the trouble! Yes, immediately. The command chain is not the same as a flight plan. Ok, right. You can only do one directional clearance at a time. What you are thinking of is more of a flight plan, which is not yet in place. Good idea. I started on this, but this one will be a bit more involved than a simple refresh, so please allow me one more day or so. Is COATE near the edge of the screen for you? If so, the aircraft may leave the terminal area while circling. Yes, do just use "C", like Broadway said, unless you are explicitly wanting to hold. I did see your post, and these are both good ideas, and emergencies are going to be a part of the updated site. Thanks! I add new airports for $100 (US). Feel free to coordinate with others here if you'd like to split that. Ah, sorry. It's within 3,000 ft of ground level. I'll get that sentence fixed. LROP is available only to subscribers. I think I found the problem and fixed it. I'm very sorry for the trouble with the scoring. It's just the number of flights per day at that particular airport. Oh!! I'll check it out. Thanks! Sorry for the trouble and the loss of your score. I think something else may be going on, as an active session isn't required after you open up an airport. What is your username? I see the forum doesn't show it. Can you try logging out and logging back in? Looks like you're in good shape now. Sorry for the trouble. And your username isn't showing up here, either. Could you please click on "log out" and then log back in? Then leave a comment here and see if your username shows up. Do heavies use 16L / 34R for departures, though? At the moment, the sim isn't sophisticated enough to do conditional runway assignments based on aircraft type, although I'm burning to get that added in. Another place with a similar problem is Philadelphia. As an aside, I've landed on 16L / 34R in a 777-300, and it was rather harrowing, haha. We seemed to drift for half the runway, too, which may have contributed. Thanks, Martin. Agreed, but it may take a little time on this one. Ok, I'll have a look. It was a little slow, and now a little fast. Will work on it. Ok, thanks for the info. Will update. That's a good idea. I was kind of wanting that recently, myself. Some of this is slated to be a part of "2.0" . But please do keep the ideas flowing and the suggestions coming. Look right under where you type commands. Ok, will work on making it a more even mix. Hold is a new command; I guess I never documented it. I hadn't even thought about this one, but it looks like it gets decent traffic, so sure, I'll consider BHM for inclusion. Note that it won't be any time soon, though, as Copenhagen will probably be the next freebie, and I also have a lot of features to add. As always, I offer fast service on new airports for $100, and you are welcome to use this space to coordinate with others if you want to split it. Maybe just restart? What browser are you using? Sometimes rebooting the server helps with that, oddly enough, if it's affecting a lot of people. I'll have a look. The iPhone / mobile Safari is a little off, but I am working on that. Looks like you're having the problem! Could you tell me what your username should be? I do new airports quickly for $100. If you want to coordinate with others and split it, that's fine and you can organize that here. Otherwise, it's "whenever I get to it", which means after Copenhagen and a bunch of other updates. Any particular airport(s) this is happening at? The second BBN is now out. Thanks again. Looks like we have a username mismatch now in the forum, too. I'll be able to take care of that one in a few hours. Sorry for the trouble. Ok, thanks for the report. I'll get both of those fixed. Ok, they're both in the queue, but I'll make sure they're prioritized. Roger. It's actually in the queue. Will do my best to RUSH the YYZ. Thanks for the suggestion and map. Often these smaller airports are boring in ATC-SIM due to light traffic, and mostly VFR traffic at that. I was going to do a few smaller airports in Illinois, USA, but gave up for that reason. "Unbelievalble pricy" as compared to what? Have you never bought a game in a store? They are often $70. I have to pay for the server, and my helpers, and it's nice to get a few bucks for groceries and gas. Sounds like you're 14 - 18 years old. Maybe ask mom & dad to help you out? Roger on the Stockholm Arlanda update. Will get ESSA updated ASAP. This should be completely fixed now. Please let me know if it isn't. Thanks for your patience. If you're at Chicago O'Hare, for example, the lowest you can assign is "2". Please give one example of what you're typing. And I never once told this guy that if he pays $20 I'll add an airport for him, or on any schedule. When this happens, just go back to the main page, refresh, and load the airport again. How so? Does it happen repeatedly? There's a guy helping me that's working on restricted airspace (like KDCA) and terrain. The delays are my fault, but it's coming. Thanks so much for doing this. I went ahead and redid the base KATL traffic to alleviate the Chrome concern, but do keep this going for fast future updates! If I'm understanding correctly, you need to do an "A" (abort) command to stop the landing and return to regular flight. Then C will work as normal. Yes, that's the plan, and "he" is hopeful for this week, still. Sure, it's possible, but when I've suggested things like that in the past ("Classic O'Hare", "Miami 1968 - in the Pan Am days", or whatnot) people freaked out. I won't rule it out, but like you said, 2.0 has to be finished first. Note that it just replicates the old behavior at the moment, and does not yet allow "north" and "south", etc., and will not perfectly resemble a racetrack. Thanks so much!! Will do so. 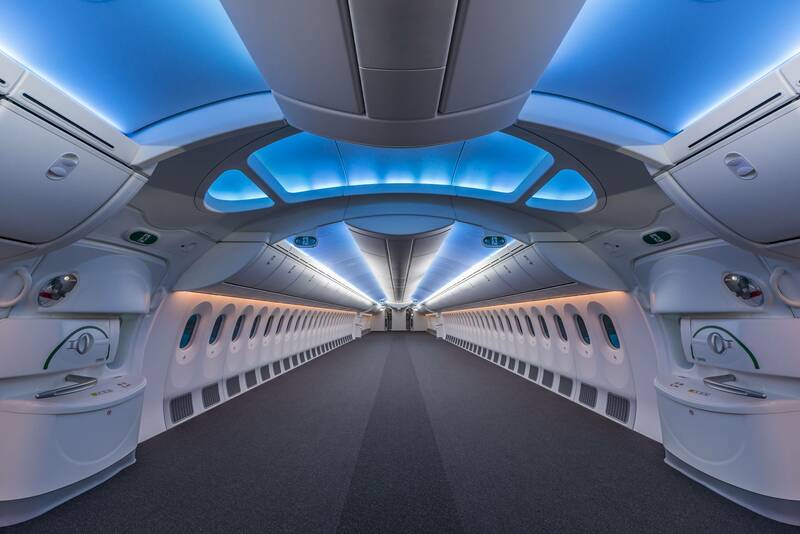 Compared to this, 707 interiors, once the epitome of "cool", look positively dreary. Could double as a 2-lane "space bowling" alley. Didn't say so before, but agreed! I will KINDly try & fit that in. Yes, it can be a heading or a navaid. Yes, expedite would still work. If you want it to descend AFTER reaching a certain point, then yes, I'm proposing that you have to wait on issuing the altitude clearance. Absolutely, you could enter any number of waypoints; and there would be no issue on the altitude, as it would be as though you simply typed in the commands separately. Is that a bug or a feature?? :-) Ok, thanks for the report. Ok, I can go ahead and work on a hold command, but many people didn't like the circling behavior and I don't want to reintroduce it. Jeez, so it really was a "feature"? Sorry for the trouble! Anchorage traffic has been updated. Thanks for your patience. I just have a history of coding delays. Thus the shame. Well, I fixed a bug regarding aircraft circling waypoints and navaids after passing them; and improved Chicago O'Hare departures when the wind is from the NW or SE; and updated traffic in Anchorage. But I'm going to need yet another 24 hours on the command chaining. Thanks for your patience. This is now fixed for O'Hare. Sorry for the wait. Is it happening at other airports, too? Actually, I feel ashamed about this, and will do everything I can to get the chained commands in place in the next 24 hours, since that's what everyone wants. I'm working on a redo of the screen area to allow resizing and to eliminate the bug where things get scrunched up in the left sometimes. Then, the next new feature will be to allow people to change departure runways. Then, probably chained commands, which already work in a few demos. I had hoped to be saying all of this a week ago, but yes, it's definitely in progress. Yes, I'll get it, but my top priority now is ATC-SIM 2.0 . Thanks so much for your thorough and detailed post!! Will see what I can do. I was actually looking at that along with restricted airspace. No promises, but I've been thinking about it, too. Good question. I would imagine Beijing does, but I can't check until tonight. Best answer would be for me to add Moscow Sheremetyevo or Domodedovo, ha. Ok, lemme get back to you in a day or two. Regarding HOW, I used to fly to every airport in the world and write down what I saw out the window. But that bankrupted me, so after I got out of debtor's prison I created several spider-like robots to climb the fence and photograph everything. But eventually I was caught and went back to prison, serving multiple sentences in the US, UK, Canada, Sweden, and Thailand. After that I switched to drones, but got in trouble for airspace violations and went back to prison yet again. I'm actually writing this to you from prison now. I have a few different methods, none of which are perfect. Ultimately, I may start paying FlightStats for bulk data, or something like that. Ok, sorry for the wait. The overlay and traffic update are in place. Will work on the airspace tomorrow or as time permits. Hi, yes. Fast service is $100. Slow service is free, but I have a lot of ATC-SIM 2.0 material to add first. Agreed. I'll see if that can be added with the other upcoming changes. What I really want to get in with ATC-SIM 2.0 is more runway logic, so that Dash 8s and such get assigned short runways such as the N/S one at Philly but heavies have to use the longer ones. And it also needs the overlay, which I almost had the other day, but I was having trouble with the river and ran out of time. I'll see if I can get both the traffic and overlay done in the morning. Thanks. Sure, I'll have a look. Thanks for the report. Sometimes it happens. For now, just go back to the home page, refresh, and try it again. That should fix it. Then, the next round of updates for ATC-SIM 2 should fix it 100%. They are no longer jagged and 1980s-looking. This was noticeable on diagonal runways. Every bit helps. Thank you. I see that KMEM needs a lot of help. It will likely take me two days to complete, but the runway smoothing and overlay upgrades are in place. I'm working on the traffic update now, and we should have some new exit points tomorrow. Sure, I can get to it in a day or two. Regarding the choppy runways at some airports, it has to do with line drawing and blending. I hereby declare that smooth runways will be the first feature of ATC-SIM 2.0! Thank you!! I'll do my best. Done! Please let me know if you see any problems. So the usual deal on new airports is $100 for fast service. Otherwise, my top priority this month is ATC-SIM 2.0, or at least the start of it, which would likely mean February at the earliest for new airport requests (for free). Amsterdam update is in progress ... Hooray! Fix is in place. Can you please let me know if it happens again? Ok, I'll get it fixed. Thanks for the report! I always thought that one looked good in the '80s, but yeah, it's dated and I'm kinda glad it's gone. As a kid, I thought the 3D "U" looked like a "W" and was confused as to the meaning. Despite being created by the famous designer Saul Bass, whose work I normally love, the "tulip" never quite worked for me. Thanks for testing! It's just a demo at this point; just wanted to see if anyone likes the concept. I'm open to ideas on goals and how to get points. Maybe just parking planes at the appropriate gate and taxiing to the active runway, which changes? Maybe avoiding other traffic? It's supposed to "feel" like a Nintendo Game Boy game, or something of that nature. Here's the start of a simple browser game. Do you like it? Should I continue? Apologies -- it's fixed now. Thanks for the catch. I'll also go ahead and update the other departure points. Sure, no problem. Update is done. Hope to do a comprehensive update before the weekend is over. Sounds good. 4-day weekend coming up for me. I'll have a look. Thanks. No worries. Glad it's resolved. Works for me and nothing has changed recently in that regard. What kind of browser environment are you using? Nothing should be changed in that regard. Overlays are there when I try it. Maybe clear out your browser's cache and reload the site? "Cleared to intercept" means the plane is not within the cone or triangle shaped area outside the approach end of the runway that it needs to be in to issue a landing clearance. However, the plane in question will keep moving forward until it does enter that area. And yes, that's the correct command. Perhaps you are erroneously looking at the speed? The appearance of the down arrow suggests it's working. Likely you are pressing the down arrow in an effort to scroll the page down. However, what happens instead is that you change your button choice. That is standard web page "radio button" functionality. I took the quiz just now and it was right. Thousands of others have taken it. Thanks for your patience. Will get to everything when I can. Ok, I rebooted the server. Did that fix it? Ok, will get it sorted out in the next 12 hours. Thanks for the heads up. Anyone else having this issue? If need be, I can reboot the server. Absolutely! Might be 24 hours, though. It's free -- which airport? Thanks for the comparison. I think they're all pretty good, but I prefer the current one. I add new airports for $100. It's how I pay the bills. Feel free to coordinate with others if you want to split it. Is that an NWA 757? User Maros Marko once suggested that people might like to pool together to commission a new airport. If you wanted to do that, you can coordinate here. Might want to make sure any screen sizing changes you make are done on the front page, and then hit refresh to be safe. THEN start the sim. Thanks for the report. Will get it straightened out. Likely I have some mislabeled codeshares. Ok, will get it fixed. Thanks so much for the detailed report. Do you need to change the filter to show more than the past month? How long ago were the missing scores added? Whoops! Ok, will check it out. Thanks for sharing. This marks the beginning of the end for another part of the original Douglas field. Of course, the old triangle layout doesn't make sense in today's world. I once had a dream that all the runways were east-west. That was probably due to me seeing what is now 28R and two taxiways from the tollway, but it's interesting that it's coming true. 14L/32R always seemed like an accident waiting to happen to me, with the embankment down to the highway at the arrival end of 32R. Once upon a time I lived in Arlington Heights and the two 14/32s brought air traffic nearly over my house. In those days, there was gooey black soot from the exhaust over everything, making windows hard to clean. As a young child, the "flanged" sound of jet engines fading in and out often put me into a trance. I once went to Germany from 14L and Japan from 32R. Can y'all try again now? Thanks. The login process did change this past weekend. I wonder if you have the old page cached somehow? Could you try it with a different browser, or else clear out your cache / temporary files first? Looks like you did get logged in, since you were able to post to the forum. Are you having trouble accessing the sim? You should be logged in there now as well, as they're both "atc-sim.com". Did that help? Can you land now? I think sometimes these master plans aren't necessarily actively pursued, but more along the lines of "Here's how we would do it if we needed to do it." Could be PTSD from the old Stapleton and the bad weather delays. I wonder if, during a snowstorm, some runways could be plowed while others are active, and then they alternate? Here's a PDF HQ version. so there may be new navigation aids as well. I think there are actually fewer now than before. O'Hare seems to be moving to all GPS. Ok, it's there! Please go ahead and post the first one. I need about three hours to get back to a terminal, but you'll see it tonight (US time). Your wish is my command. What would you call it? "Airports"? Can you start your approaches from further out, like at the edge of the screen, and see if that works? If so, gradually bring them in closer. If that doesn't work, please report back. KLAS has a similar setup on the south side of the field. When you are finished with the simulation, type QUIT or EXIT and your statistics will be entered into the high score table. ** This feature is available to registered users only. It's kind of funny to me: I got the "arrivals cutting across corners" thing solved this morning, once and for all. Airports with ICAO codes A - RC now have the safe arrival paths, if they didn't get the STAR treatment. Let me know if you have any trouble. I hope to have RJ - Z done in the next 48 hours. Let me know if DFW is behaving for you now. If so, I'll apply the same change to all the older airports that don't have STAR paths. It does sound like Paul is beginning his approaches too close to the runway, although if 2,000 works for him at LHR then it should work at MCO. The test is to see how high the planes are as they approach the threshold. If higher than, say, 200 feet, then it means the approach needs to be started from farther out. Must mean you're not lined up as well as you think, or not within the "cone" area at the end of the runway. I typically advise people to begin their approaches from farther out when this happens, and then start bringing it in closer once it starts working. And you're definitely at 1,000 feet? What does the confirmation box in the upper right say after you issue the command? Maybe approach the runway more diagonally and go for a localizer "intercept". I have a plan. Every remaining airport that hasn't had arrival path updates will get fake paths that definitely don't cut across corners. This will fix it until I can code all the real paths. Right, that's what I was getting at. So DCA is more of a new feature rather than just another airport. That one's not a $100 airport. But if it means a lot to all of you, I can prioritize it. Ok, sure, but please allow me 24 hours on that. What is the link to the features poll? Did you post that already? No worries, no hurry, I'm not going to be able to look at features until Monday at the earliest. Should more be done with Twitter, such as automatically posting new high scores, or is that annoying? Ah, jeez. Chained commands is always #1. Member area to change passwords and view personal scores. Looks great, Alex! Let's see what the people choose. You could have a separate poll for features. It's not just you. I'll have a look. Thanks for the note. Did the SAB to BEL change, and will do a complete refresh in the near future. Sorry to hear of the trouble. The radar screen size should be based on how large the front page is. Maybe hit refresh on the home page after you have it sized correctly and see if that helps? Out of respect for Germanwings, you will not be able to crash into mountains in the near future. The upcoming restricted area will be for KDCA, and can hopefully be expanded as you've described without too much trouble. Ok, thanks for the report. Looks like I have a busy weekend! Yes, it's a legitimate problem. It has to do with the old style arrival path programming & the various screen resolutions. If these bad things "line up" all together, like the "Swiss cheese" explanation of crashes, then arrivals will cut across the corner and the player will be unfairly"dinged". New & revised airports don't have the problem. Several new landscape overlays were added over the weekend, including Incheon this morning, and the arrival path revisions are ongoing as well. Thanks, Roy, for the report. I'll put something in to re-center the overlay when the screen changes -- hopefully later on today or tonight. In the meantime, you can work around this by making the "home" screen full-sized, refreshing it, and then starting the sim. As it turns out, I did add some more overlays this morning, but not the ones you wanted. However, Anchorage looks pretty nice. I know Boston and Honolulu will be spectacular, but also a huge PitA due to the runways being right on the water. However, I'll get 'em. Thanks again. That should be fixed everywhere, and the overlay has been added. Please let me know if you see any problems. p.s. Whew! Just made the deadline. Thanks for the heads-up. Will get that fixed in the next 24 hours. Go ahead and make your post, and then I'll approve you. p.s. I see you had a post three days ago. Is it not working now? At this point, expectations on improvements are so low that I cannot possibly fail. I have to approve new people and posts, that's all. No worries.